Skye Gravestones | Neil & Marion (MacGillivray) Maclure & family. Neil & Marion (MacGillivray) Maclure & family. 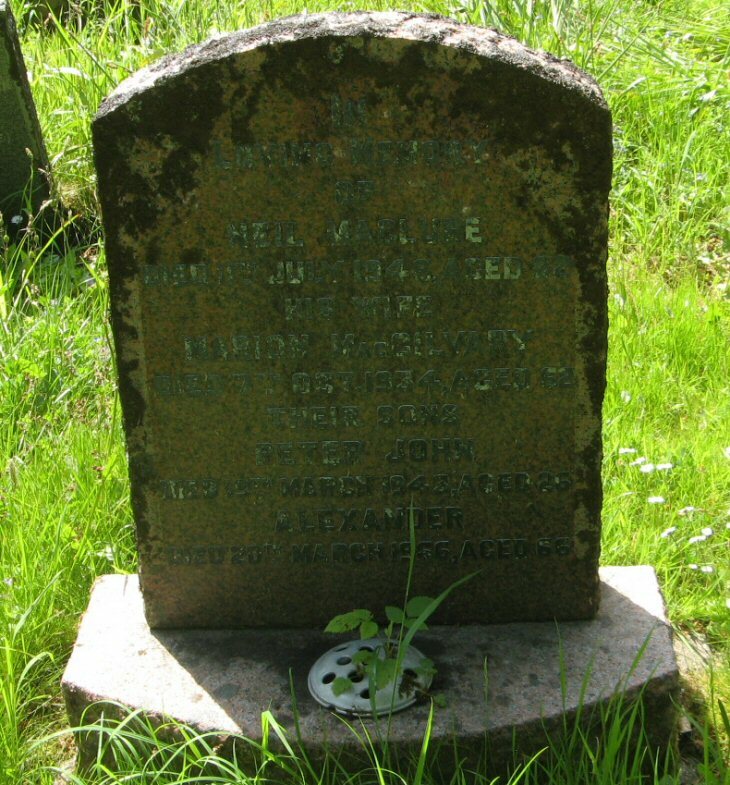 In/loving memory/of/NEIL MACLURE/died 11th July 1948 aged 82/his wife/MARION MacGILLIVRAY/died 7th Oct. 1934 aged 62/their sons/PETER JOHN/died 19th March 1943 aged 26/ALEXANDER/died 20th March 1966/aged 66.